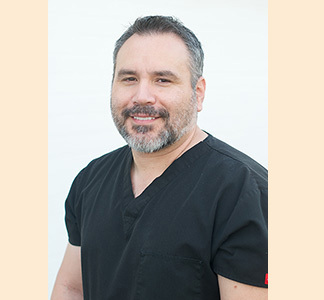 Leo Cavazos, our on-site denture specialist, has been working in our office since 1989, and has been working in the field since 1987. During his 20+ years experience in the dental industry, he's always worked in close association a dentist. He's experienced in all aspects of denture creation, including impressions, fabrication of full dentures, partial dentures, over-dentures, implant supported dentures, hard and soft relines, and the replacement and repair of broken teeth and clasps. Having an on-site denture lab will save you time and money, and has the added benefit of the close working relationship our denturist has with Dr. Carr. Our denture specialist and our dentist work closely together to create beautiful smiles for our patients, and cooperate to achieve maximum results that are inline with long-term dental health. The results are better-fitting and better-functioning dentures, and a more natural looking smile!